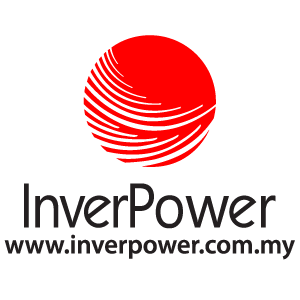 InverPower Sdn Bhd added 7 photos in Billion Watt - Energy Management Category. InverPower Sdn Bhd added 2 photos in Multi-Contact Staubli - MC4-Evo Category. InverPower Sdn Bhd added 13 photos in Sungrow - String Inverter Category. InverPower Sdn Bhd added 2 photos in SolarEdge - PV Inverters Category. InverPower Sdn Bhd added 6 photos in ABB Solar Inverters - String Inverter-3 Phase Category. InverPower Sdn Bhd added 3 photos in ABB Solar Inverters - String Inverter-Single Phase Category. InverPower Sdn Bhd added new photo in Tools - MC4 Tool case PV-WZ4-SET Category. InverPower Sdn Bhd added new photo in Tools - Open-end spanner Category. InverPower Sdn Bhd added new photo in Tools - Socket wrench insert Category. InverPower Sdn Bhd added new photo in Tools - Assembly device PV-AWZ3 Category. InverPower Sdn Bhd added new photo in Tools - Crimping pliers Category. InverPower Sdn Bhd added new photo in Tools - Stripping pliers Category. InverPower Sdn Bhd added new photo in Multi-Contact Staubli - Solar Cable Category.